Concerts, comedy and cinema — oh my. 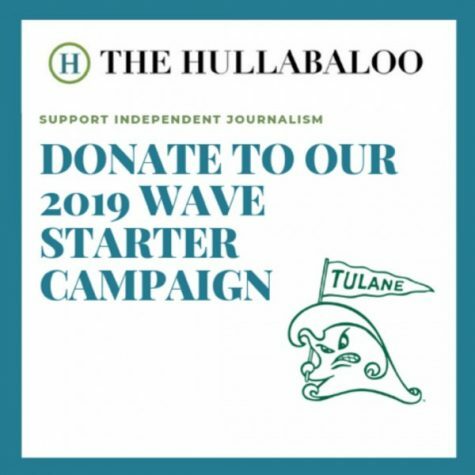 All these and more fit within the scope of Tulane University Campus Programming, the group that brings big names like Bill Nye, Hoodie Allen, Cold War Kids and more to campus. As one of the most highly anticipated events to kick off the new school year, First Fest garnered a mix of sentiments ranging from appreciation to indifference from attendees. Laid out before students were a variety of activities including a photo shoot station with entertaining props, concessions and the culminating concert. The native New Orleans funk rock band Flow Tribe headlined the event, performing alongside Hot 8 Brass Band and 5th Ward Weebie. The night started strong with a large student turnout. A line reached out the Devlin Fieldhouse door past the building. Eventually, the population settled, but only after a couple of hours into the night. Attracting many students were the freebies provided, which included drink koozies, plastic cups, temporary tattoos and stickers. Event organizers hid Pokemon plush toys around the stadium and encouraged students to find them and take them home. Last year, the first concert of the year was on the Lavin-Bernick Center for University Life Quad, which was a more suitable location than this year’s Devlin Fieldhouse. The indoor stadium offered a less open floor plan, so the atmosphere felt more closed in and less accessible to the general student population. First Fest kicked off the year with a positive start, but with lesser known music acts and a different location, it makes sense that the turn out felt weaker. In addition to concerts like First Fest, TUCP offers a wide variety of programs spanning campus-wide interests. After setting a high standard of impressive stand-up with the likes of Tig Notaro and John Mulaney in the past, this year TUCP invited Saturday Night Live legend Jay Pharoah to come to campus Aug. 31. Tickets for this event are on sale online now and will also be available during TUCP tabling events prior to the concert. Tickets are $5 for Tulane students and $10 for the general public. TUCP’s scope extends well beyond just concerts and comedy, however. It also provides the campus with dorm decorations by coordinating a poster sale, so freshman boys can pick up their Lamborghini posters Sept. 6-9 in the LBC. Guest speakers are also an essential aspect of the programming lineup, so Lauren Chief Elk, a co-founder of the Save Wiyabi Project, will be coming to campus at 8 p.m. Sept. 12 in the Kendall Cram Lecture Hall in the LBC to talk about Native American and women’s rights activism. To choose who comes to campus, TUCP members review its yearly budget and compare it with a list of options for artists in terms of who is touring and available for the year. TUCP is fairly autonomous. Students coordinate the events with guidance by advisors. 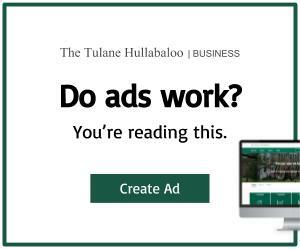 In its effort to make members of the Tulane community feel that their voices are being heard, TUCP encourages students to join one of the seven TUCP committees or show up to committee meetings. As a group, TUCP seeks to reflect the desires of the student body in terms of what programs are important to them and what artists they’d like to see featured, as well as to foster a campus-wide feeling of community, and the variety of upcoming events does just that.